Preplanning provides peace of mind for everyone involved. A carefully preplanned service can be the most comforting to your family, as it spares them from having to face decisions that can be both emotionally and financially difficult at the time of death. It can give them lasting peace of mind to know that they have acted in accordance with your wishes. Making pre-arrangements can be as simple or as detailed as you wish. You can make the selection of the services, casket, music, etc. or simply record the information that will be needed for legal forms and other paperwork. Another reason to preplan is to ensure that your family will receive all of the benefits for which they are entitled. It is important that all of your personal records, including bank account numbers, investment information, insurance policy numbers and location of important papers be accessible to your family in the event of a death. All of this and your personal wishes for your funeral can be recorded in a Personal Arrangement Guide booklet that we provide free of charge. This ensures that the protection you worked and planned for, will be received by your beneficiaries when they need it most. Although not required when making pre-arrangements, most people choose to set aside funds that will cover their future funeral and final expenses. We offer a variety of prepayment programs which allow you to control cost, avoid emotional overspending, and guarantee today's price. One of our directors can meet with you at your home or at our funeral home to explain the various programs and answer any questions. Once your pre-arrangements are made and on file, when the time of need arises, a call to our funeral home will enable us to proceed with what was planned. For further information about pre-planning, or for answers to your questions, simply give us a call, or complete and return the form below. (And, of course, there is no cost or obligation). The form below was designed to allow us to gather basic information about you and your desired funeral service. For specific information about this service or any other related funeral questions, we are available for appointments either in your home or at our facilities. You may call or write for information. Advance planning makes good sense, and is an economically sound decision. For additional information, please call 617-524-0861. Can I place my records on file over the Brady Fallon web site? Yes. 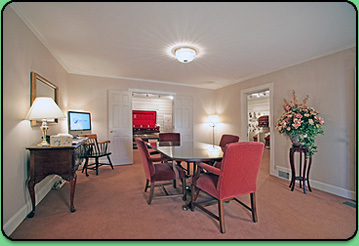 Many families choose to start their prearrangement process right here on our web site. You will find a list of information to select your choices, and one of our funeral directors will be happy to help you. If you have any questions about preplanning, feel free to contact us at 617-524-0861, or email us.